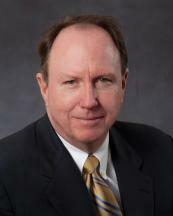 Kenneth J. Bush is a Florida Bar Board Certified Civil Trial Lawyer and is AV-rated by Martindale-Hubbell. He is the only attorney named in the Top Attorneys List in the plaintiff’s medical malpractice category in every edition of the South Florida Legal Guide since it was first published as part of Miami Metro Magazine in 2001, in the plaintiff’s medical malpractice category of every Florida edition of Super Lawyers since its inception, as well as being named in Florida Trend Magazine’s Legal Elite. He is also a member of the Million Dollar Advocates Forum, having achieved numerous multi-million dollar verdicts or settlements on behalf of his clients.